We would like to thank our loyal customers, our friends, nuestros amigos, who have enthusiastically supported us through the years! Starting out on the East Side in a taco truck in 2002 and eventually making our way over to the West Side into our first restaurant in 2009 in the Capitol Hill neighborhood, you have always been there, thank you! ¡Gracias! Providing a quality Mexican food experience at an affordable price has always been important to us and we will continue to keep this as part of our focus as we continue entertaining you! Two casserole style enchiladas for each guest. Choice of two meats and the veggie option, rice, choice of beans, chips, guacamole, and salsa. We require the following minimums, before tax and gratuity. If your total is less than the minimum, please consider a delivery or pick up order from one of our other fabulous locations. We are available to cater your private event as early as 12:00 PM, Monday – Saturday and anytime Sunday. If your event is especially large, we may be able to adjust our available hours. All pricing is based on a two-hour service window. WA Sales tax and 18% gratuity are not included. Standard truck service, order and pickup and all service products. If you would like something special, just ask! We ask for the estimated guest count in order to invoice you and collect a 50% deposit. The guest count can be raised but may not be reduced once the deposit is made. For deliveries or pick up orders: Vegetarian and gluten-free available upon request. • All food is packed in aluminum trays for easy transport and to retain heat. • Delivery charge is $50.00. Subject to change based on delivery location. • Prices do not include tax or gratuity. Need something different than our mobile food truck catering service? We have carryout options that can be customized to fit your needs. The parking area is available up to two hours prior to the start of your scheduled service time. If you require street parking, it is your responsibility to obtain a Temporary Vending Permit from the city. RBT will need proof of this permit prior to the event. The client is responsible for verifying the above requirements. If for any reason Rancho Bravo Tacos is unable to park at the event, all payments for the event will be retained by Rancho Bravo Tacos in full. Rancho Bravo Tacos started out as a food truck on the East Side in 2002. Since then, we have grown into four locations in Wallingford, Capitol Hill, Fremont and now on the Ave near the University of Washington. Our belief is that good food does not have to be expensive to be good. Most of our menu is made from scratch, from our salsas to our tamales, from our horchata to our pozole. 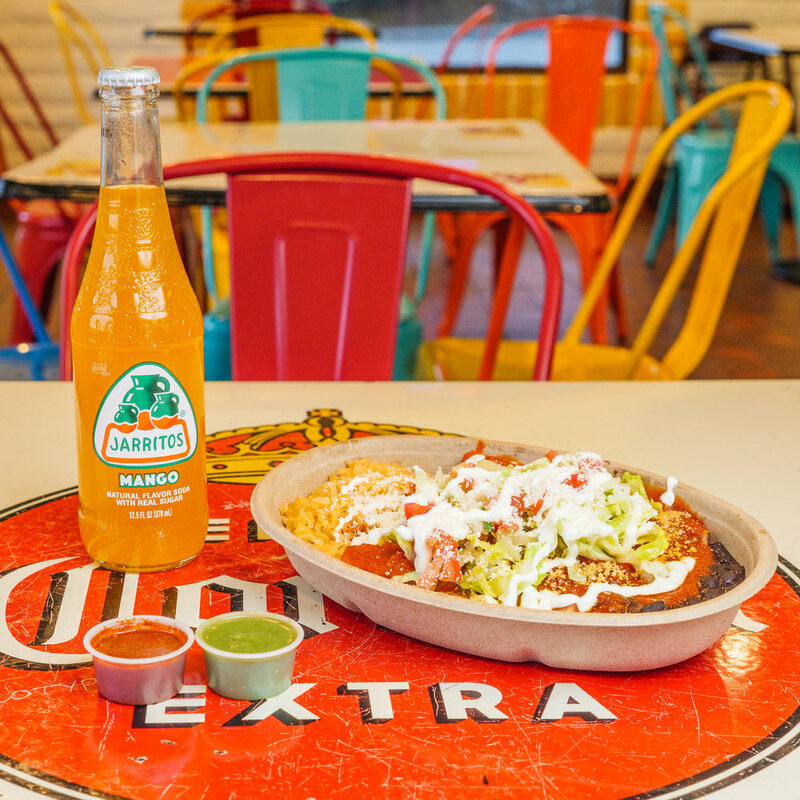 We appreciate good value as much as you do and that’s why we make it our goal to offer a quality Mexican food experience at an affordable price! We genuinely enjoy making people happy:) Please let us know about your experience dining with us, we want to make it a good one!